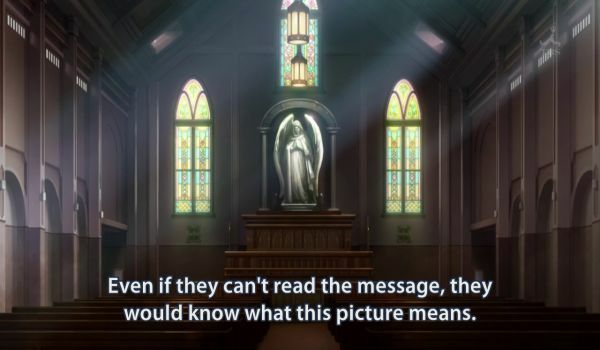 “Even if they can’t read the message, they would know what this picture means.” In the days before widespread literacy, there was sacred art, sacred architecture and sacred music. But I can only paint and compose in words. There is no comma in today’s subject line. There is no need to say “stupid people, don’t read this”, because they can’t. It is too much bother for them, poor things. tl;dr as they say these days. I know this not just from the level of response I get, but also from this article in Business Insider: Bite-Sized Chunks Of Info Are Best. Here we learn that “Humans can only process small amounts of information at a time” … “There is no chunking here, there is not progressive disclosure. It’s just all the information thrown on the page all at once. The result? You don’t read it, you just leave.” Sounds like one of my regular pages, don’t you think? As I have said before, I actually have a lot of respect for simple-minded people. Many of them manage to persevere and often accomplish something in this life, even though they walk as if in a fog. Many live morally, even though they are not able to foresee the sorrow and heartbreak that immoral living would cause for themselves and others further ahead in time. I am certainly not all-knowing, but often I can see such things ahead and it is simply practical to drop such temptations as gambling, non-medicinal drinking, pyramid schemes and careless flirtation. They are, past a certain point, not even tempting. But for those who can’t see the world as if from a very high place, these and many other temptations are mostly resisted by faith alone, or fear of getting caught. I – and you, if you have read this far – are privileged. Written words are our friends, not our enemies. And so we are allowed into the library of the ages, there to learn from the great teachers who have preceded us. They teach us not only facts, but how to think, sometimes even how to think about thought. It is like a kind of superpower, of the type that starts small and grows over time and use. But with great power comes great responsibility, as Jesus Christ said. Wait, that was not exactly what he said… “unto whomsoever much is given, of him shall much be required” is the old-fashioned English version. But the point still stands, and it is a rather sharp point and painful to touch for me. I don’t want to go to my eternal dwellings yet. I have still so much to learn, and so much to teach. I wish to say all the worlds that should be spoken, before they are lost forever. But how, when I cannot reach those who need it the most? This entry was posted in human mind, meta by itlandm. Bookmark the permalink.